Web analytics is not just a process for measuring web traffic but can also be used as a tool for business and market research, and to assess and improve the effectiveness of a website for a better insight on how a website is performing and whether or not an optimization is required. Web analytics applications can also help organizations measure the results of traditional print or broadcast advertising campaigns. In order to evaluate the R.O.I (Return on Investment) of your blog or website, you must analyze and measure your website visitors’ data to have a deep understanding of user behavior across all the web pages. 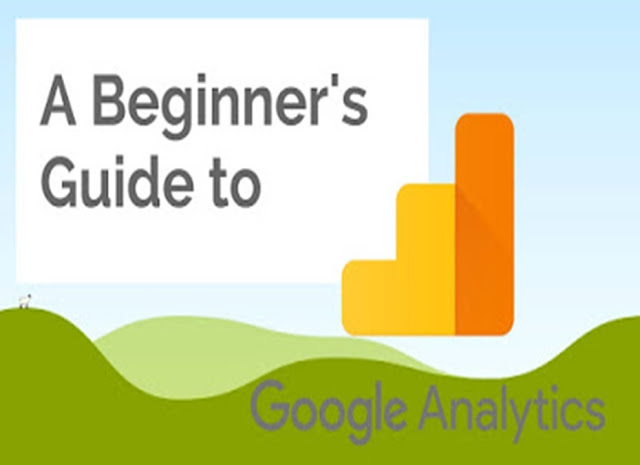 Google Analytics is one such tool which can help track various parameters pertaining to user behavior such as the number of visitors, number of sessions, number of page views, average time on your website, bounce rate, and so on. The objective of this step is to convert the website visitor's data into metrics in the form of ratios. After the metrics are obtained, the result data is formulated to calculate the Key Performance Indicators which help organizations develop a business strategy. Organization builds a strategy based on their revenue model to achieve their respective return on the amount invested for all the marketing efforts. The goal, however, varies from organization to organization. The goal or objective could be brand positioning, making money, an increment in market share, and so on. A/B testing (also called split testing) is referred to as a random experiment with two variants, A and B. Usually two variants of a web page are shown to the same set of audience to identify which amongst them performs better. The data collected impacts the marketing strategy of an organization. Locations- Analytics will show the location of your website users in real time. Traffic Sources- In this section of real-time report, analytics will show the source of the traffic i.e whether the user came directly to the website or through a search query or through a referral. Active Users- The users active on your website for a desired period i.e for a day, a week, a month, etc. Demographics- whether the users are male or female, and what age group do they belong to! Interests- which pages are your website users, the most and the least active on! Geo- This analytics data would fetch the location of your website users along with the language they use to communicate, e.g. English(U.S), English(U.K), etc. Behavior- How engaging are your website users and what is the percentage of 'New Visitors' versus the 'Returning Visitors'. This data also shows the count of sessions, total number of sessions, and the total number of page views for a set range. Technology- Which operating system are your website visitors use(e.g. Google Chrome, Internet Explorer, Safari, etc. ), and who are their Internet Service Providers(ISPs)! Device- Whether your website visitors are using a computer, a mobile or a tablet to access your website! Direct Traffic- Direct traffic defines the number of users who directly visited your website, for a set range of date. Organic Search- Organic Search report fetches the data of your website visitors who landed on your website by means of a search query on a search engine. Social- Social Search report fetches the data of your website visitors who landed on your website from a social channel e.g Facebook, Quora, Google+, Twitter, etc. Referral- Referral traffic is a method of reporting visits to your website, outside of the search engine. Based on the business objective of a website, the metrics in Google Analytics can be changed. The data can be also be extracted hourly, daily, weekly and monthly. Site Content- This metric shows which page had the maximum views and which had the minimum. The report also fetches the following parameters apart from the common parameters like bounce rate, page views, unique page views, average time on page, etc. Entrances Count, which is defined as the number of times visitors entered your website. Percent Exit, which is the ratio of the number of exits to the number of page views. Goals- Goals are a versatile way to measure how well your site or app fulfills targeted objectives. You can measure conversions, or completion rates, for each Goal you set up. Combine Goals with Funnels to analyze user actions leading up to a Goal. If you set a monetary value for a Goal, you can also see the value of conversions. ● "Thank you for registering" pages. E-Commerce- With the help of Google Analytics ecommerce tracking, you can compare sales data with your website analytics data like bounce rate, traffic sources, etc. Ecommerce tracking is a snippet of code you can include on your site or app to collect transaction data like product sales, purchase amounts, and billing locations, and connect it to your Google Analytics account. With ecommerce tracking, you can better understand the value of your digital business. Use the Ecommerce Reports to segment and analyze your data, and discover relationships between your marketing campaigns, user engagement, and transactions. With the help of Google Analytics tool, you can create customized reports depending on your business goal. A website owner may or may not find a value in a particular metric. Let’s suppose a business is more into lead generation, the 'page value' metric would not benefit, and that the business is more interested in other metric. That's when 'Custom Reports' come handy. ● To create a custom report, click on 'Customization' followed by a click on 'Custom Reports', and then click on ' New Custom Report'. ● Now, put a title name, e.g 'Traffic'. ● Under Report Tab, you can choose whether you want to have 'Explorer', 'Flat Table' or 'Map Overlay'. You can add matrices to the report tab, e.g. 'Advertising', 'Social', 'Acquisition', and ‘Behavior’. ● You can also add 'Custom Dimensions' similar to the above report matrices, as per your requirement. ● When you are done customizing the report you want to analyze, click on 'Save' and you would be able to see the custom report dashboard with the matrices you chose. One of the difference between traditional marketing and Digital Marketing lies in the fact that you can measure the outcome of your campaigns for the latter, and optimize those as per the available data on a tool like Google Analytics. Go ahead and install the analytics code on your website if you haven’t done already.